Located at Eskdale Spur Walking Track, Eskdale Spur. 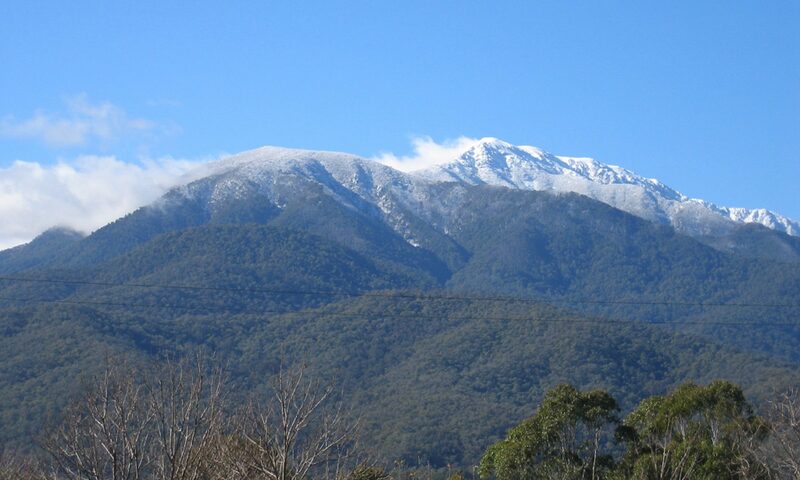 Shown on the Bogong High Plains map at GR278359. This hut was destroyed by fire in January 2003, but was replaced in January 2005, via a heli-lift. The original hut is famous because it was constructed from a commercial Myer garage, a design that offended many conservationalists. It was burnt in the 2003 fires and replaced with the magnificent semi-pre-fab in 2005. 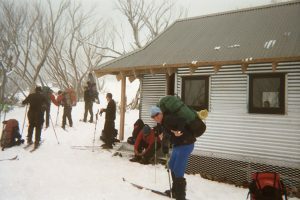 The original hut was built by the Mt Bogong Club as a refuge for walkers and skiers in 1967 and named in memory of a pioneer skier, Howard Michell. The Permissive Occupancy was never finalised by the Lands Department, making its replacement problematic! 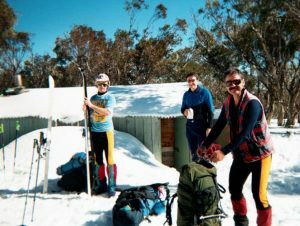 Originally the hut was meant to be one of a number, to assist skiers with the “Classic Tour” from Mt Bogong to Mt Hotham, but damage to the environment during its construction caused some outrage and the others were never built. A replacement for Summit Hut (destroyed deliberately by fire) was proposed in stone, but so far, to no avail. The new Michell hut was designed at the same time as the new Federation Hut by Tonique Bolt from Underwood and Bolt. It was flown onto the site in January 2005 and assembled there, in time for the coming winter season. The original was built using a Myer garage of 14 feet by 20 feet, with a small door and no windows. The fire place was built outside the hut and water collected in a drum. The hut was fully lined, with a wooden floor, and did not have the feel of an iron garage. The new hut is built of pre-fab sawn timber frames overlaid with corrugated iron.